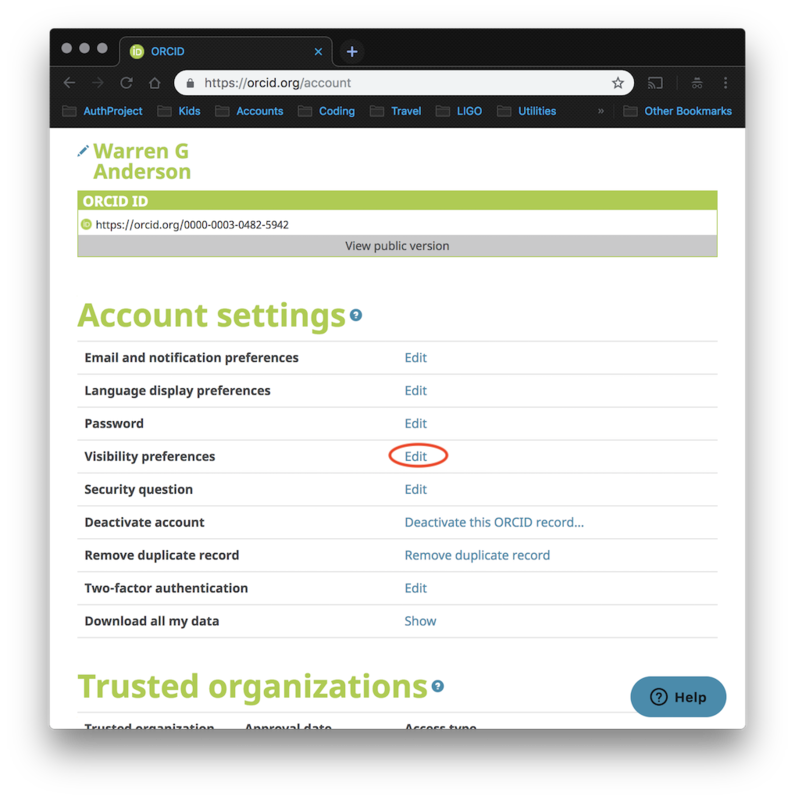 In order to use your ORCID to register for the OpenLVEM collaboration, you must allow ORCID to share a little information about you with our services. To ensure that your ORCID accounnt settings work for OpenLVEM, start by signing into ORCID (https://orcid.org) using the "SIGN IN" link. 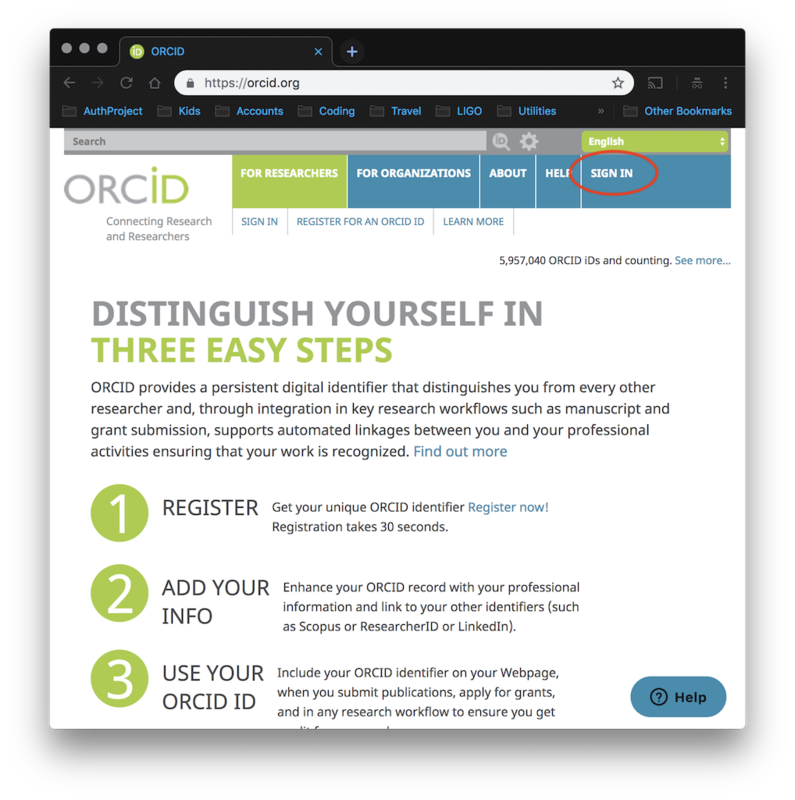 That link will take you to the sign in page where you simply enter an email address associated with your ORCID account and your ORCID password and then use the large "Sign into ORCID" button at the bottom of the page. There are two places where you will need to check and possibly change your settings. We'll start with the "ACCOUNT SETTINGS" link in the top navigation bar. Clicking on that link will take you to your account settings page. One of the settings you can adjust is your "Visibility preferences". Click on that "Edit" link to open the visibility preferences dialog and make sure that the radio butto for "Everyoe" is selected. 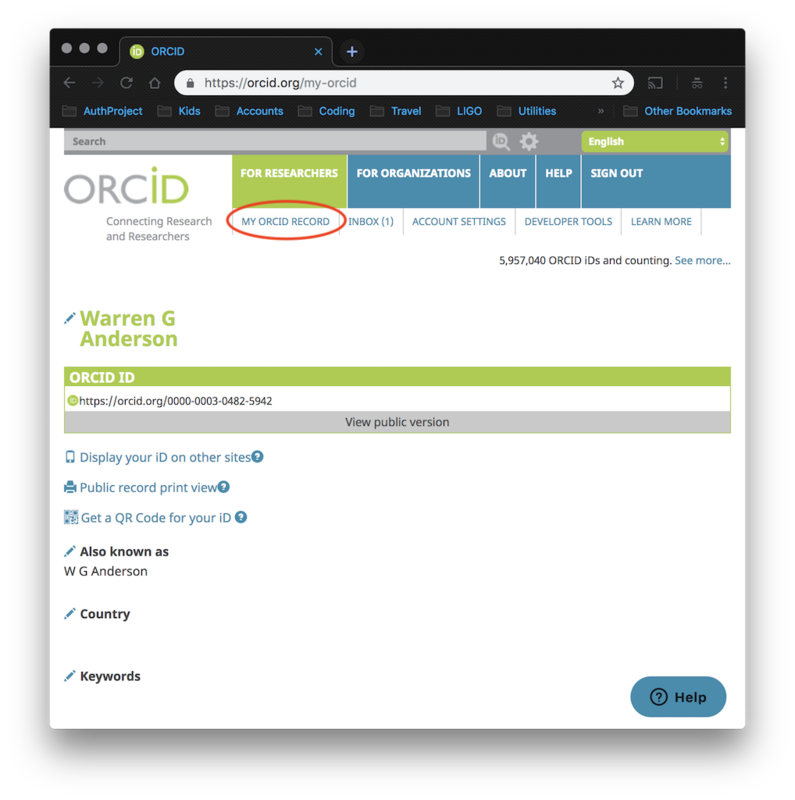 Next, navigate back to your accout page, and this time use the "MY ORCID RECORD" link. Scroll down the page util you see the word "Emails" with a little pencil icon to the left of it. Click on the pencil to check your email visibility settings. Each email has a little visibility selector to the far right. Click the "Everyone" (green people) icon for your "Primary Email" address. 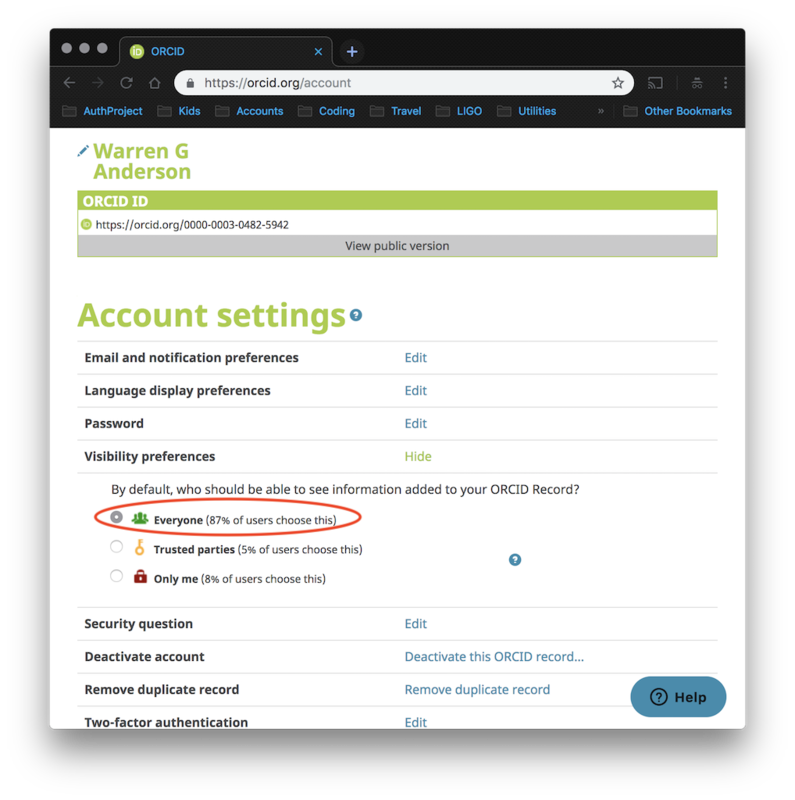 Your ORCID account should now be correctly configured to work with OpenLVEM. If you have any questions or run into any problems, please contact gwastro-help@cgca.ligo.org and we will be glad to assist you.